Go with the unique look of wood with these UBS flash drives. Each measures 2 3/8' x 3/4' and include free setup, a tier 1 memory chip, data upload, gift box, keychain and a lifetime warranty for complete confidence in this product. Due to memory chip market fluctuations please contact factory when placing order. 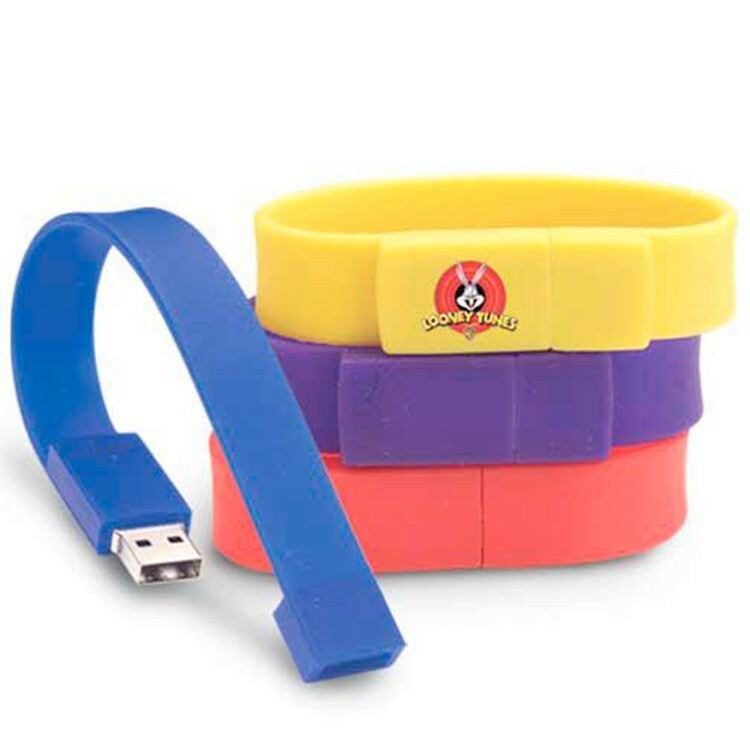 Colleagues and coworkers alike are sure to love the look at functionality of this unique promotional product. 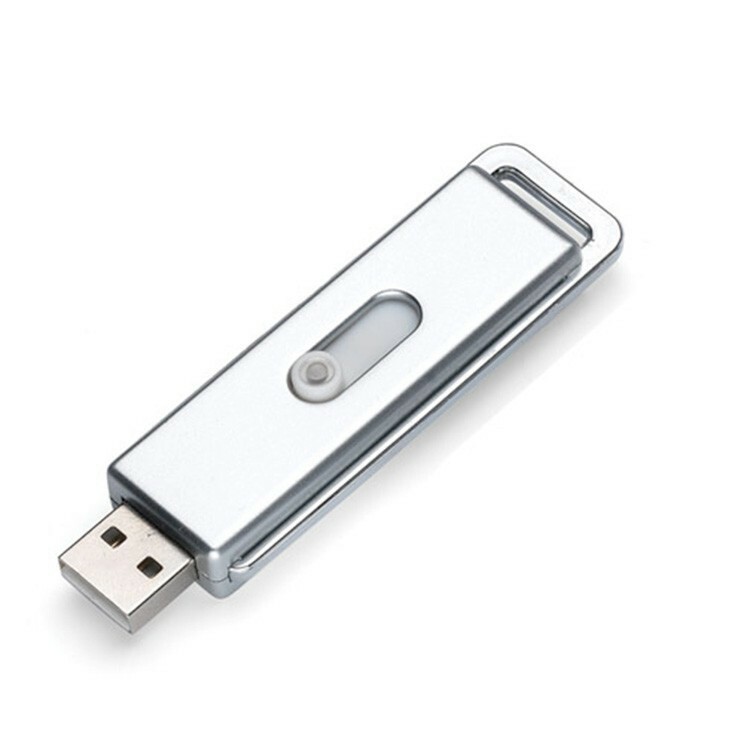 This flash drive can hold 512MB memory, we also have larger than this. Custom logo can be printed with all colors. 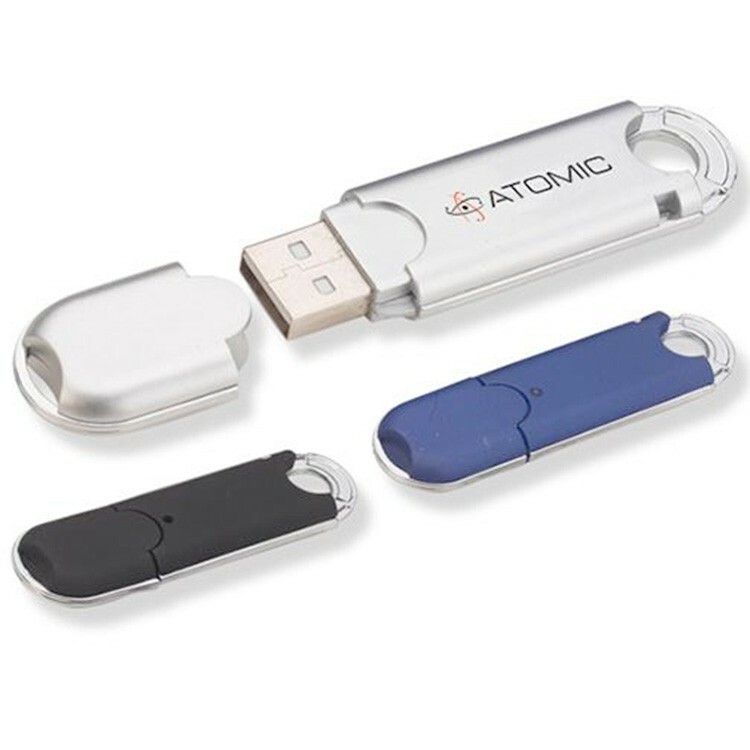 Boost sales at your computer equipment supply store during pivotal times in the year by offering this Trim micro USB drive as a special giveaway. 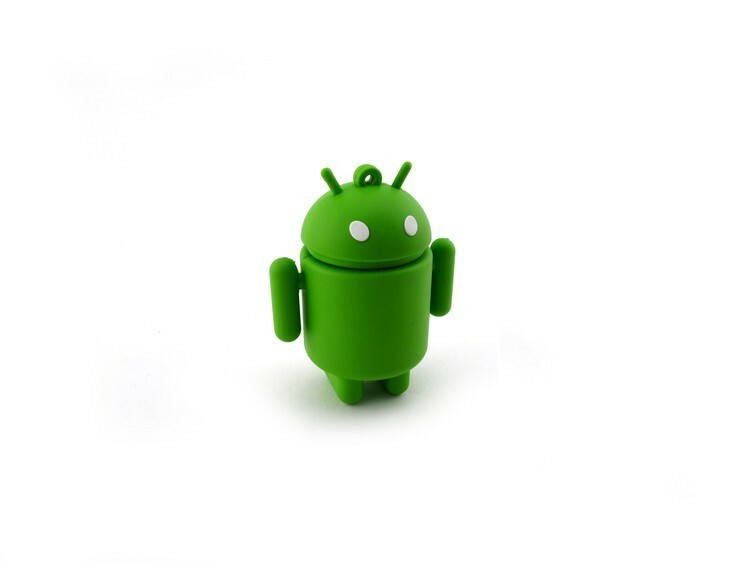 It has a glossy metallic finish for a sharp look and a slim slide-out connector. Overall, it measures at 1 1/2" x 3/4".Product includes free setup, a Tier 1 memory chip, data upload, a gift box, a keychain and lifetime warranty. Please contact factory for drive cost and availability. 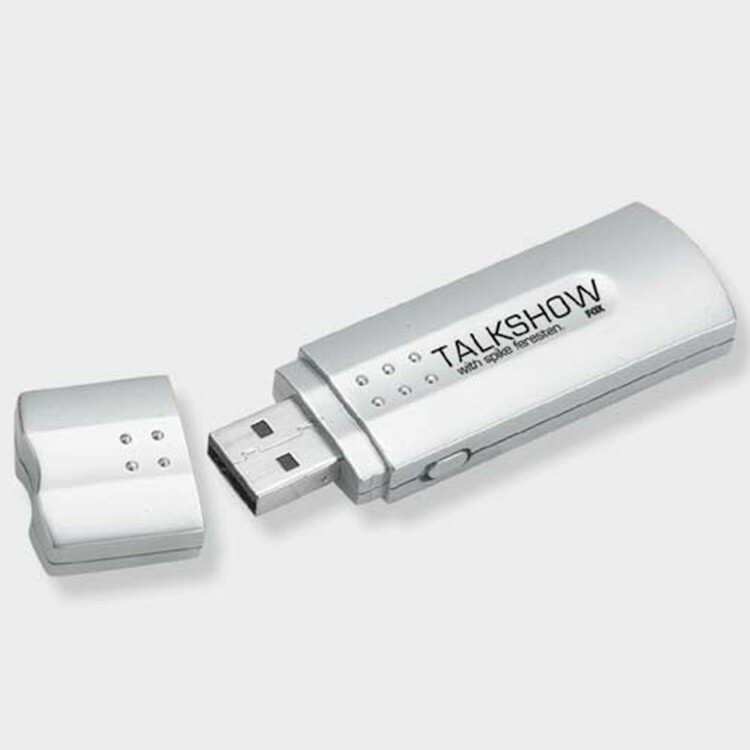 Add some flash to your campaign with this useful flash drive. This USB flash drive has folding "wings" to protect USB port. Measuring 2 1/8" x 1 1/8"; this fun product has a keychain to keep it close by on the way to class. Also, tier 1 memory chip, data upload, gift box and lifetime warranty. With bright colors available; add your logo to promote your brand with every use. 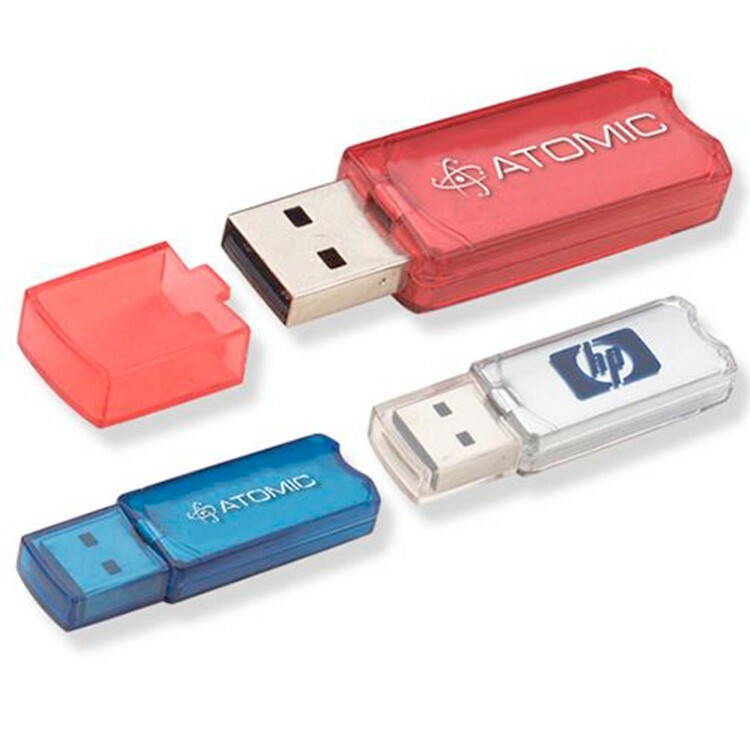 Contact factory for better costs on flash drives and free set up! 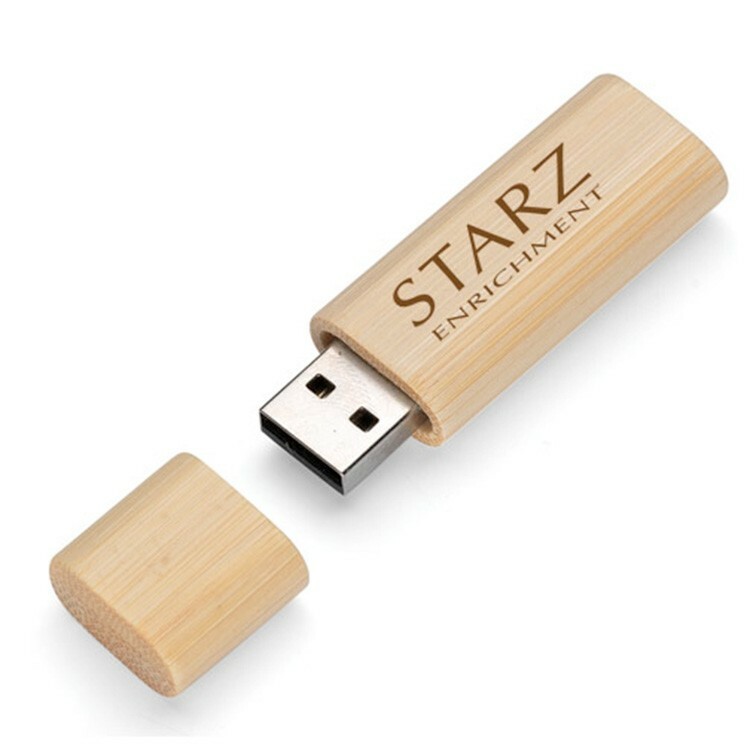 Drive up your promotional success with this bamboo flash drive. 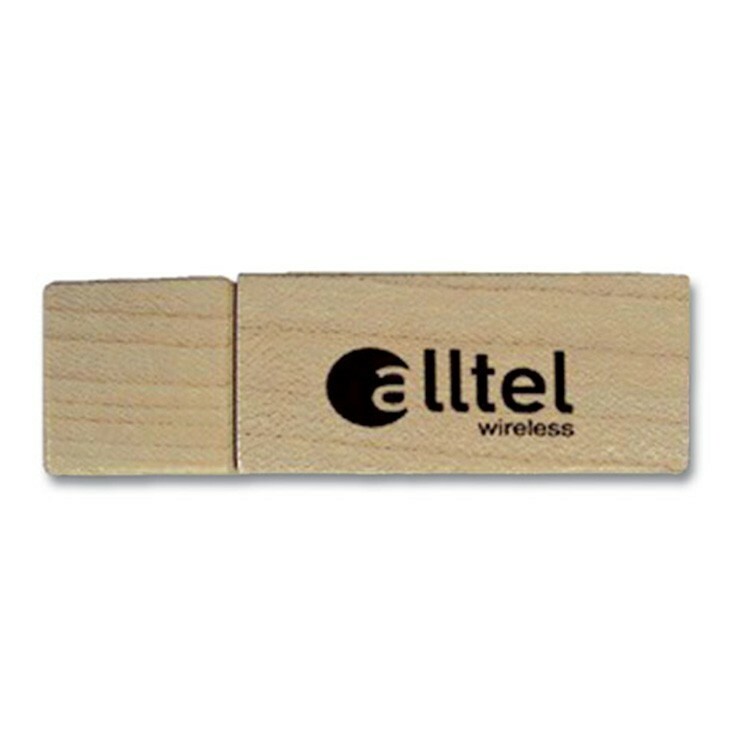 Measuring 2 3/8" x 3/4"; this item features a natural bamboo finish. Due to memory chip market fluctuations, please contact factory when placing order. It includes a Tier 1 memory chip, data upload, gift box, keychain and lifetime warranty. Enjoy "FREE SETUP"! Customize this product with your company logo to create a gift that won't soon go out of style! Give them something truly original when it comes to flash drives with this credit card shaped USB drive. Each includes a Tier 1 memory chip, data upload, keychain, gift box and the lifetime warranty needed for true confidence in this product. Add your brand in a variety of printed colors for a vibrant way to get your name out there with a large potential for repeat exposure that's essential for top-of-brand awareness. Order now! 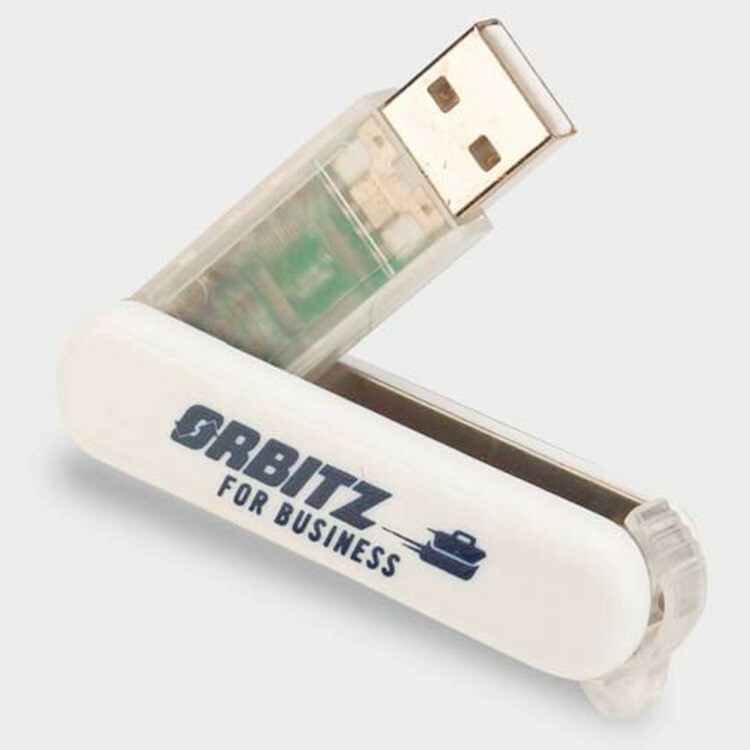 This micro USB flash drive is a great way to spread to word on your small office or firm within a community. Just pass it out to any first time or long time clients after imprinting it with your corporate logo. In total, it measures at 2 1/8" x 5/8". Included with the product is free setup, a Tier 1 memory chip, data upload, a gift box, a keychain and a lifetime warranty. Several colors and storage size options are available. 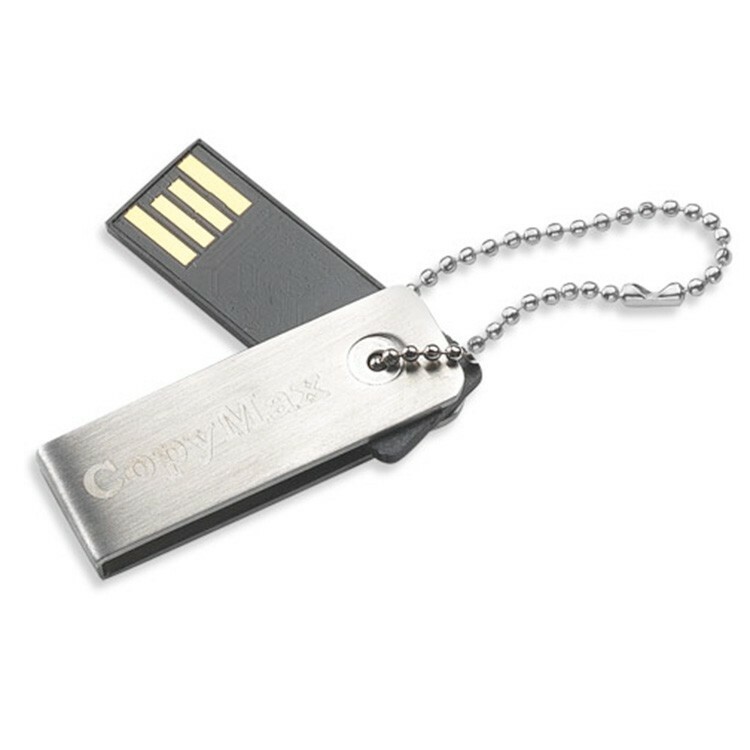 Draw clients to your table during the next corporate tradeshow event by offering this micro USB flash drive keychain as a fun and practical giveaway. It comes in several bright translucent colors. Several storage size options are available. The product also includes free setup, a Tier 1 memory chip, data upload, a keychain, a gift box and lifetime warranty. This is the perfect way to sell a new line of products. 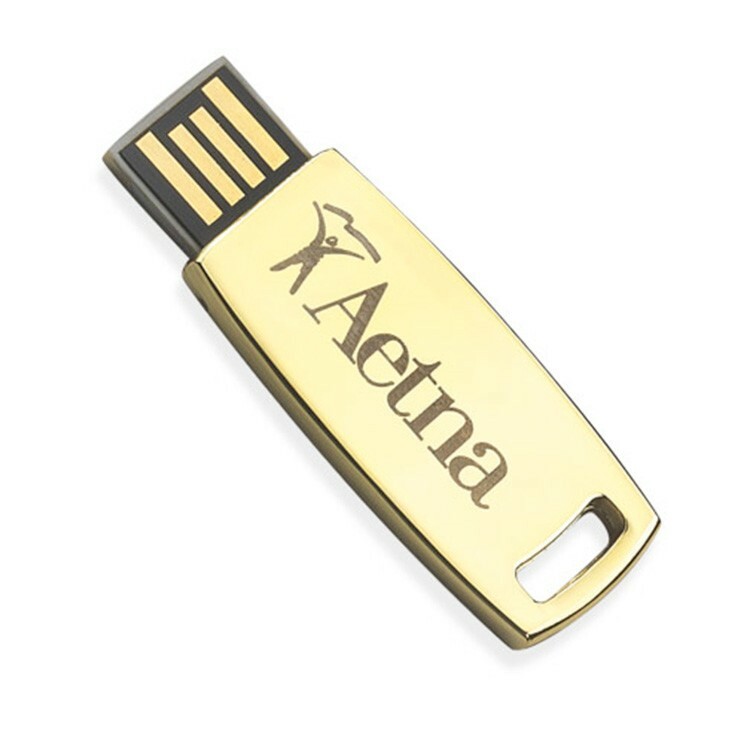 Promote your line of smart devices by offering this Blaze micro USB drive as a giveaway with any purchase. It has a slim connector with a swivel function. This product includes a keychain for easy carry, a Tier 1 memory chip, data upload, a gift box, a lifetime warranty and a free setup. This product measures at 1 3/8" x 5/8" in total. Several storage size options are available. Don't pass up on this great opportunity. 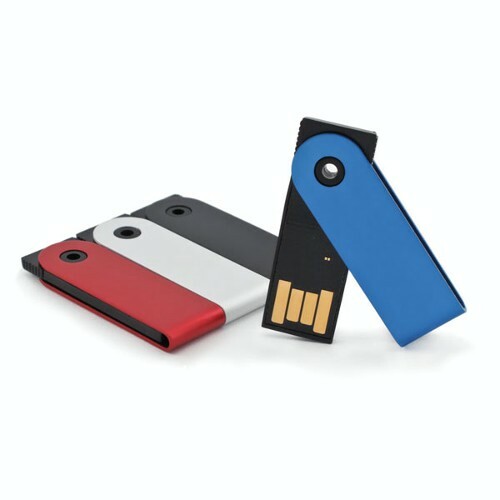 Go with these 3' x 4' flash drives. 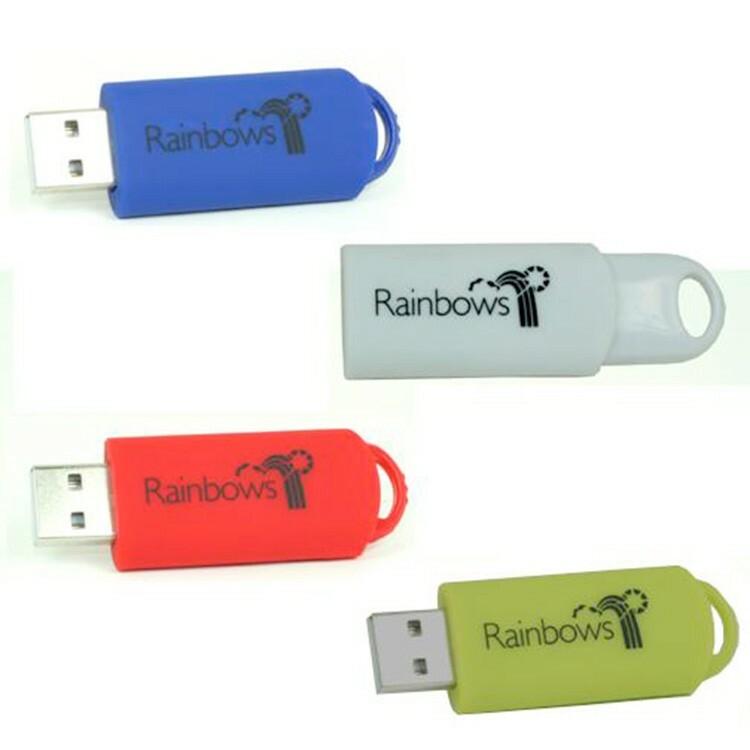 Each backup and transports files easily and is USB 2.0/1.1 compatible. No external power is needed and each includes free setup a hot plug and play, powered by a USB port. They are PC and Mac compatible and feature shake and electromagnetic protection as well as a Tier I memory card and lifetime warranty. Due to memory chip market fluctuations please contact factory when placing order. Customize yours today. 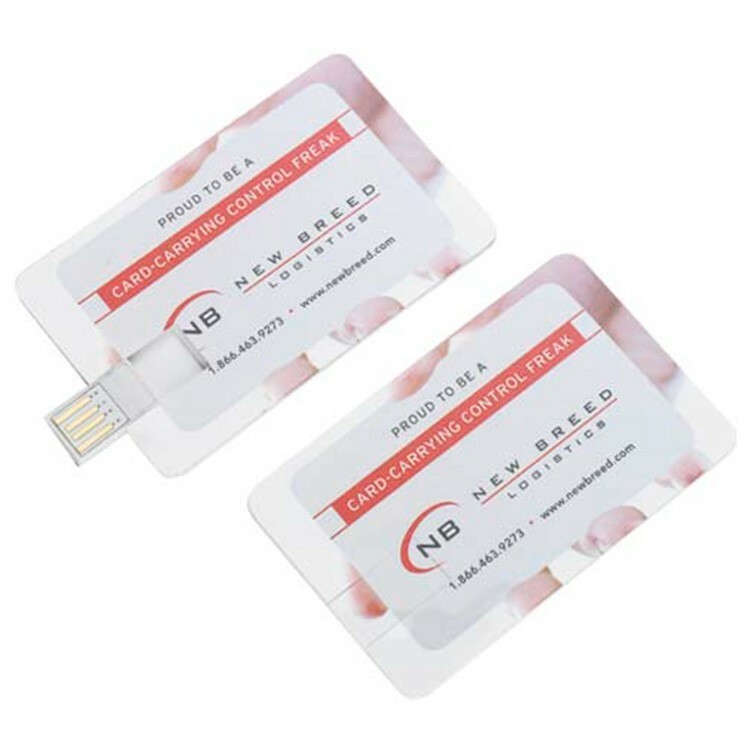 Drive in new business with the help of this tech savvy promo piece! 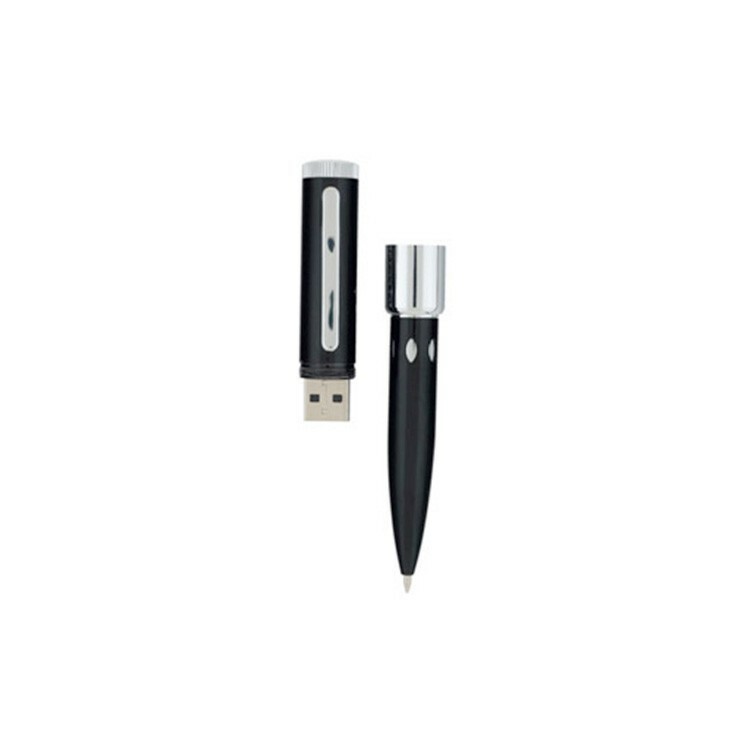 Measuring 2 1/4" x 7/8"; this clicker USB drive features a USB port that retracts and extends with the click of a button. It includes a tier 1 memory chip, data upload, gift box, keychain and a lifetime warranty. 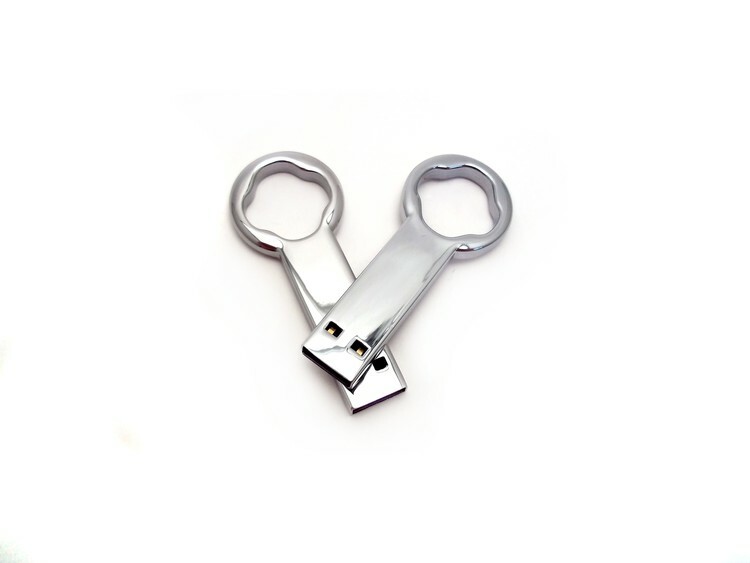 Customize this item with your logo to create a fantastic giveaway that is sure to help increase brand awareness. What a great choice for conferences, conventions and much more! 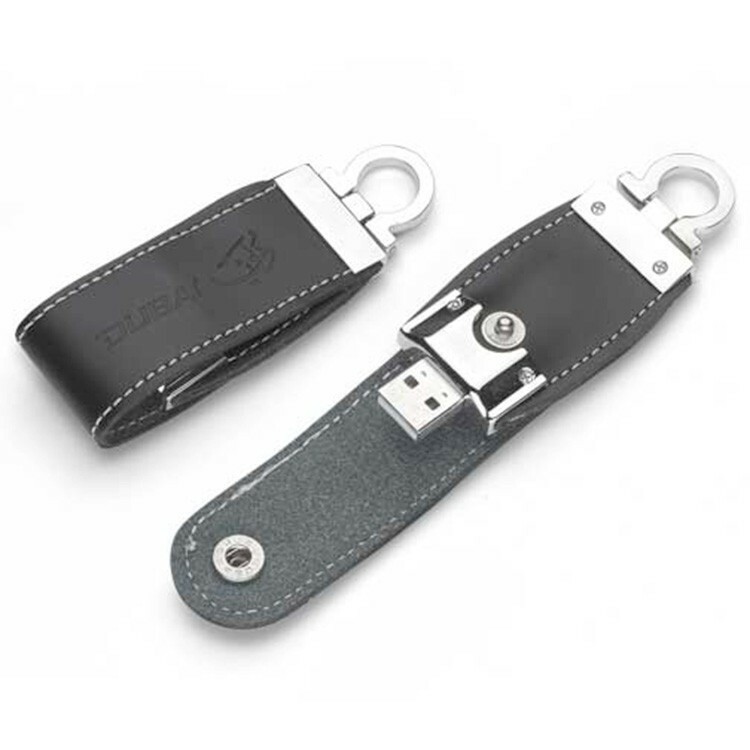 Go with this black or brown leather, 3 1/2' x 1' flash drive. 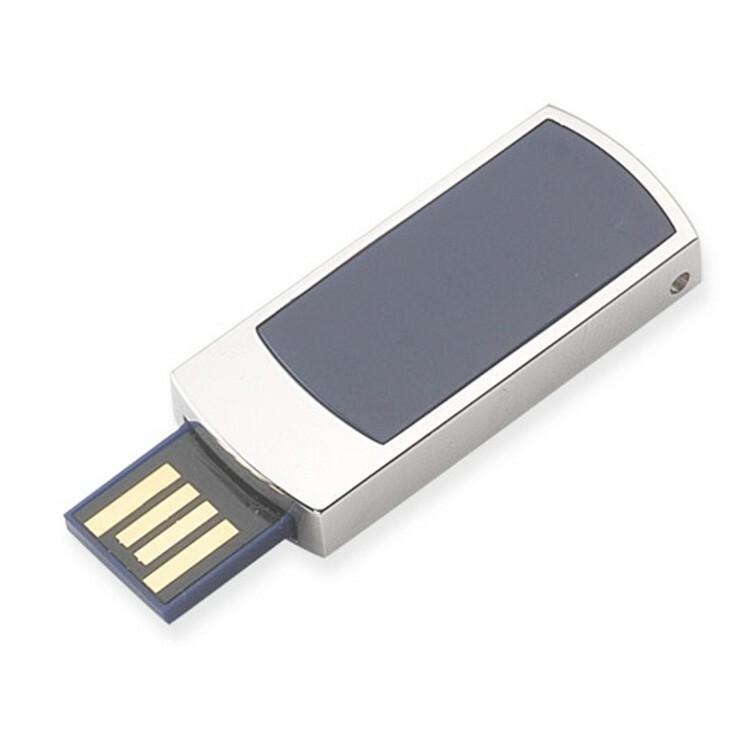 Each is USB 2.0/1.1 compatible device, and includes a hot plug and play, keychain, gift box, Tier 1 memory card, no external power is needed and they are both PC and Mac compatible. And, with the assurance of shake and electromagnetic wave users can rest easy knowing their files are safe. Due to chip market fluctuations please contact the factory when placing order. "FREE SETUP"! Give your clients some added incentive by offering this Regent micro USB drive as a giveaway for anyone who shows interest in your services at booths. It has a sleek finish and a slide out slim connector. 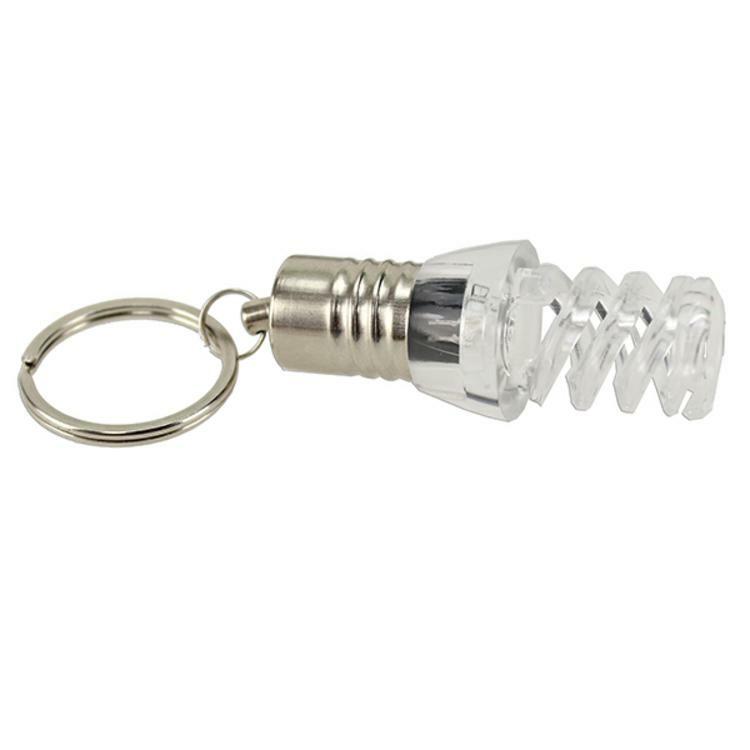 The product includes a keychain for easy carrying. Its dimensions are 1 5/8" x 3/4"in total. It also includes a free setup, Tier 1 memory chip, data upload, a gift box and lifetime warranty. Several bright colors are offered. Please contact factory for drive cost and availability. 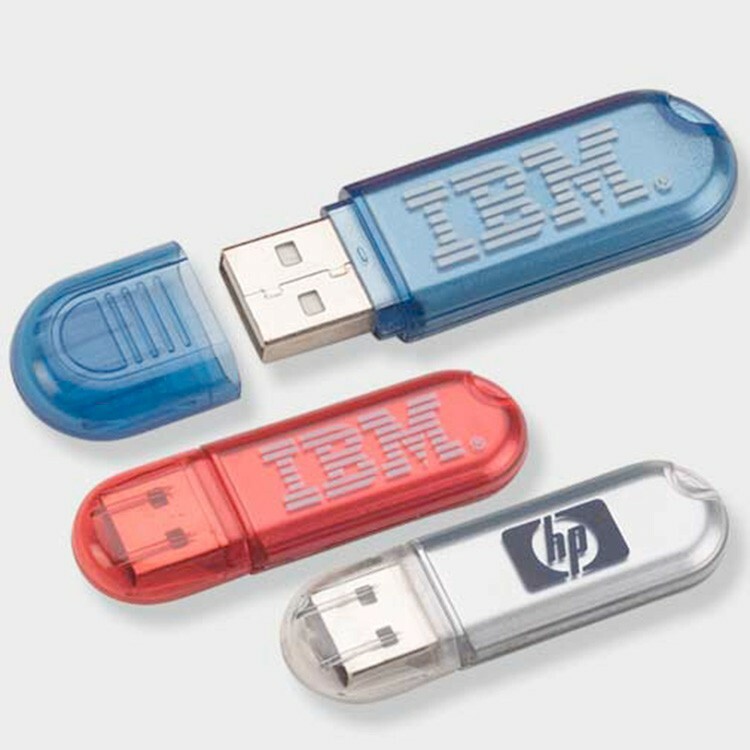 Go with the great look of this USB flash drive. Each measures 3' x 7/8' and includes a keychain, Tier 1 memory chip, data upload, free setup, gift box and the confidence that comes with a lifetime warranty. Add your brand in laser engraved or pad print imprinting for an excellent way to get your name out there with something that valued clients and colleagues alike will appreciate and use for valuable repeat brand exposure. Order now! 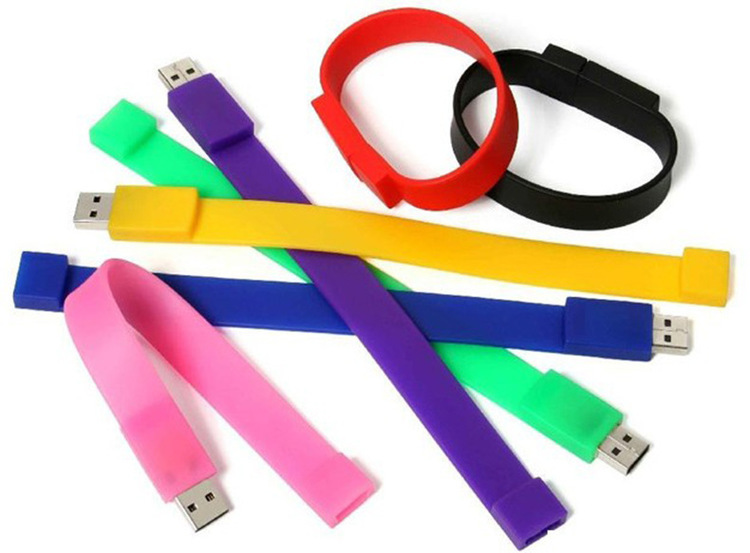 Go with a different take on the typical promotional flash drive with these colorful silicone wristbands. Each measure 8 1/4' and clips easily around wrists. Each features free setup, Tier 1 memory chip, data upload, gift box, keychain and the total confidence that comes with a lifetime warranty. Add your brand laser engraved, pad print or silkscreen imprinting for a new and interesting way to show off your organization's tech savvy. Order now! 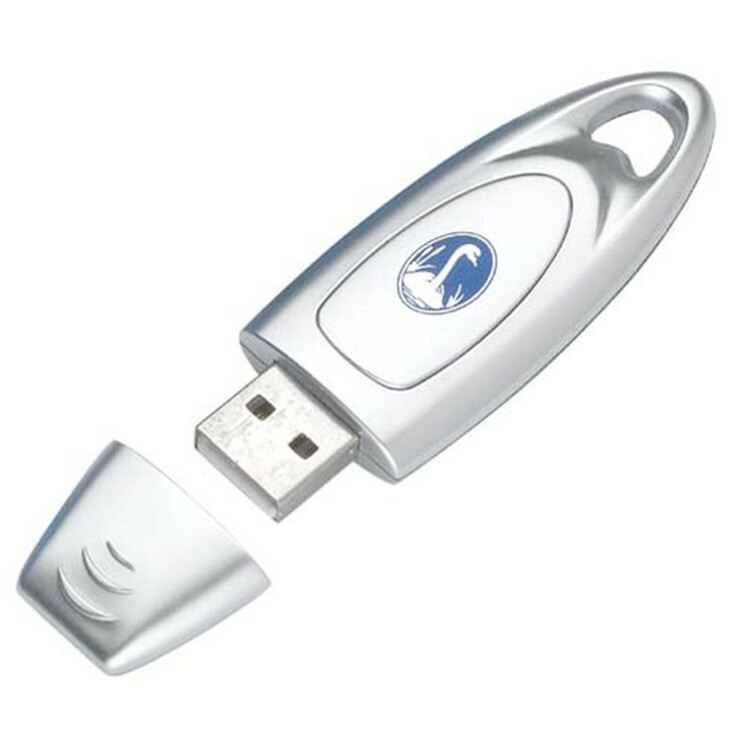 Go with the Silver Apollo flash drive. Each measure 2 7/8' x 1' and backups and transports files easily. Each includes a Tier 1 memory chip, data upload, gift box and a hot plug and play. No external power is needed. And with free setup, shake and electromagnetic wave protection, and PC and compatibility, and a lifetime warranty, users can feel great about this drive. Add your brand to this item and create a useful giveaway! 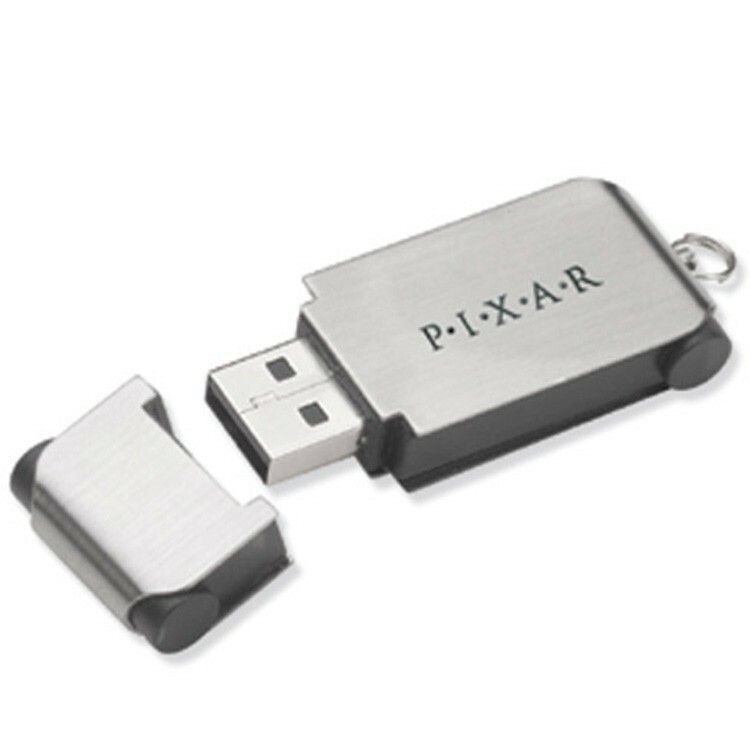 Give them a fun take on a promotional classic with these slide USB flash drives with chrome trims. 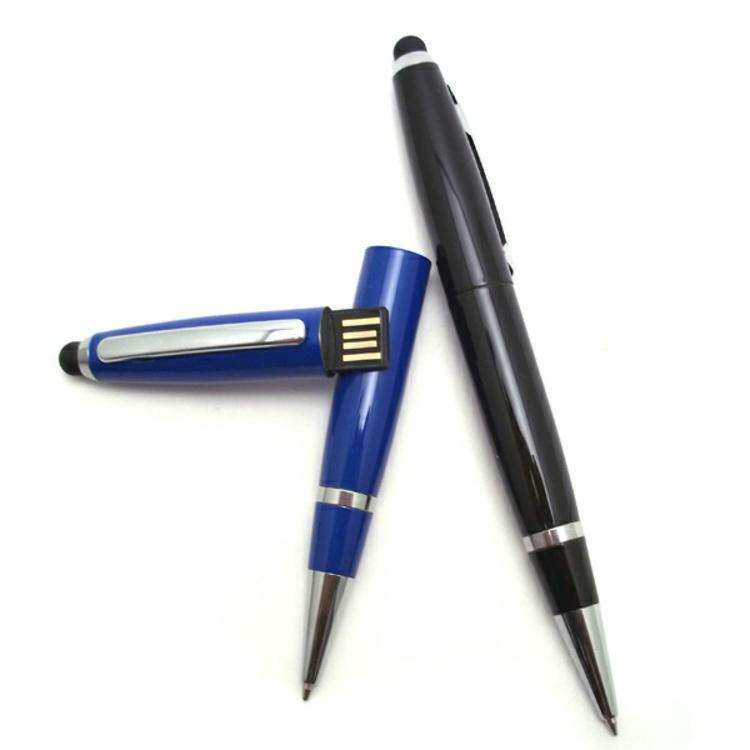 Each measures 2 1/8" x 7/8" and includes free setup, a Tier 1 memory chip, data upload, gift box, keychain and the complete product confidence that comes with a lifetime warranty. Add your brand using the available imprint methods for an excellent way to put your name on the go with something they'll appreciate. 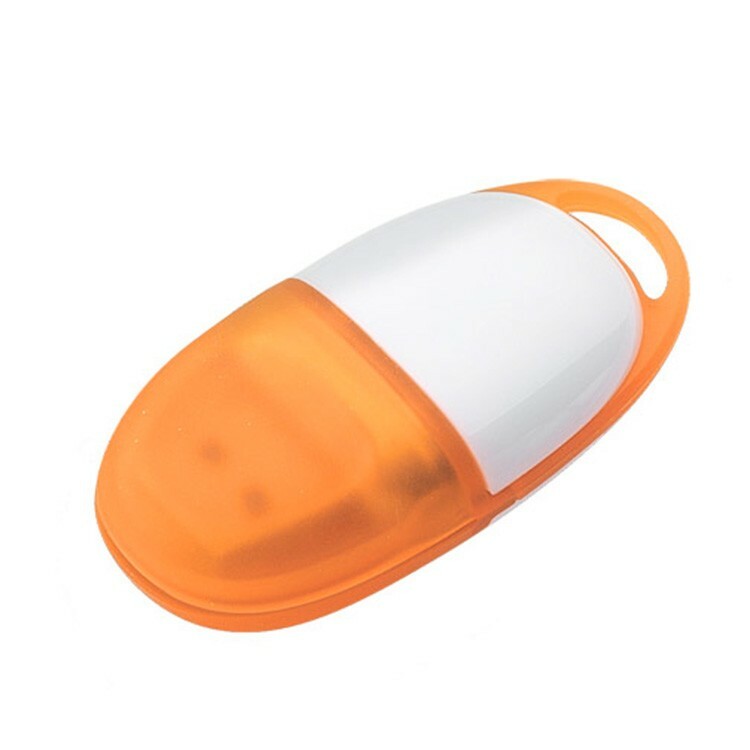 Go with a promotional product that's a great way to get your name out there with these USB Tier 1 memory chip flash drives. Each includes a keychain as well as free setup, a gift box, data upload and measures 2' x 3/4'. They also feature the complete confidence that comes with a lifetime warranty. Add your brand in laser engraved or pad print imprinting for a great way to put your name out there, on the move and directly in their hands. 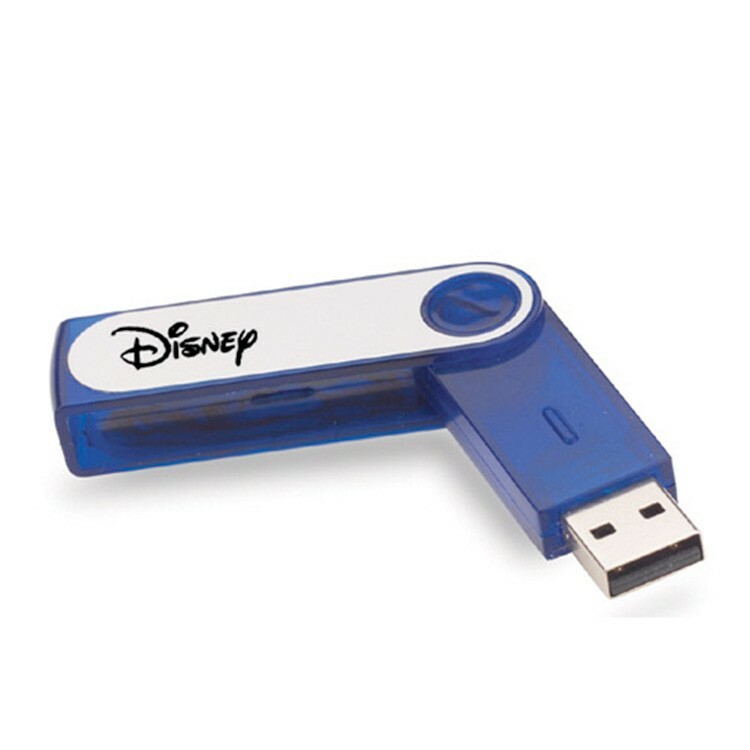 Give them a new take on a promotional classic with these USB flash drive with a translucent swing design. Each measure 2 1/4" x 5/8" and includes free setup, a Tier 1 memory chip, data upload, gift box, keychain and the complete product confidence that comes with a lifetime warranty. Add your brand using the available imprinting method for an excellent way to put your brand out there with the potential for top-of-mind brand awareness!